For years now, a decade of my life perhaps, I have stood on the sidelines and watched the Church suffer in scandal, and like many, I have been stunned at the fallout, some of which is actually, surprisingly good. All around us, there is an epidemic of disbelief, as if this state of affairs were new, and sin a matter of modern constructs that come and go as passing posts on Facebook. On and off I have thought to write on the current state of things; the words have been assembling in my mind for some time, and with each new conversation the urgency multiplies. In the heat of debate on what went and possibly still goes wrong, of the incessant and often flippant criticism, one thing is abundantly clear: you, our priests, need something different than the endless barrage of demoralizing commentary. It is time, for a change, to encourage and thank, and offer the sustaining promise and force of our prayers. I have long felt that one can not write about priests until one knows priests, for to know priests is see a side of their life that defies imagination. Fundamentally, to write about priests is to write about Christ, whose icons you are in a world that is often Christ-less. This exercise demands subtlety of thought, trust that words will be given, and capacity to be bold and truthful. And it is precisely here that one should tread carefully so as not to crush hope, or that determined joy which comes with the conviction of faith and stands constantly buffeted by the winds of derision, cynicism, and disbelief. The vineyard is a place of sometimes grueling work. Pruning is painful and necessary; the labor intense and consuming. The fruit of this toil, however, is the wine that gladdens the hearts of men. So here is a different commentary on your lives, written with the hope that the suffering, the demoralizing effects of modern scandal, the disbelief and criticism be eased, and your joy increase. We need you. We need priests! You are indispensable. In a world of self-motivated religion and aimless spirituality you are the living images of an unchanging truth: that Christ came to save men and women, as a man. While men in this world become physical fathers, you bring souls to spiritual rebirth. Without you, Christ is bound in tabernacles, and we remain severed from Him. 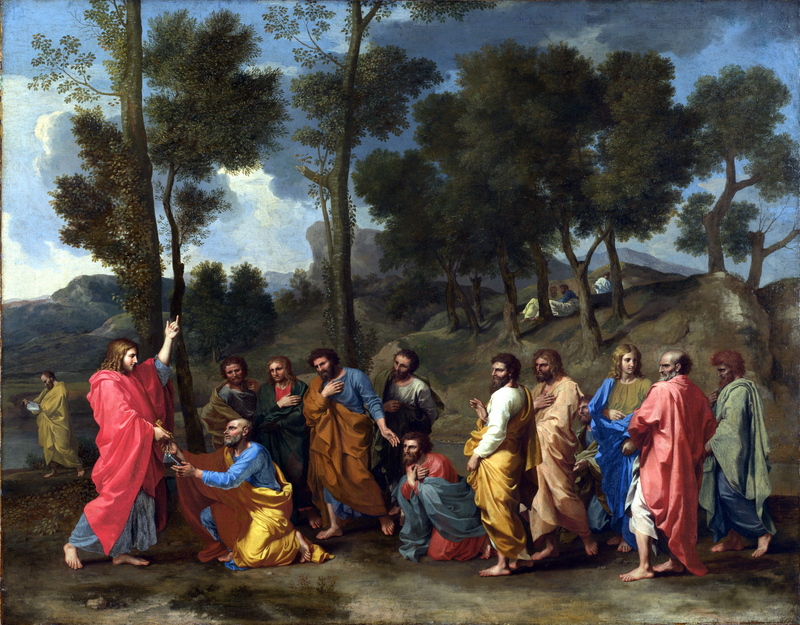 We need holy priests — men who are not afraid of saying no to the world and its ever-changing standards of presumed happiness; men for whom this earthly journey is a passing time, and already an opportunity to live in eternity; men whose standard of contentment is their desire for union with God. Holiness: please be it the hallmark of your priesthood, at the cost of your lives. We look to you for this. On it depends our capacity for the same. We need priests who really believe — who by the conviction of their faith, their comportment, their celebration of the Sacraments and especially of the Holy Sacrifice of the Mass, speak to faithless and struggling hearts who see no more than bread and wine, and invite them to believe that Christ comes, still personally, today, alive in the hearts of men. Believe boldly, and shock us into this same boldness of belief. We know what disbelief looks and feels like. It is belief that is surprising; its force contagious, enlivening. We need celibate priests. In a culture where everything is reduced to bodily satisfaction, physically superficial pleasure, and sexualized happiness, you reflect that integration of virtue and joy that is powerfully converting. Yes, celibacy is difficult, and we know it. But precisely because it is, we need it more. Your celibacy elevates human existence, reduced low when it loses sight of its dignity, and restores it stupendously, as Christ restored the woman to be stoned. Celibacy involves sacrifice, and in this way it is an act of real love. To be called to forsake family and children for the kingdom of God, is to be called to stand apart, to be different in an un-applauded way; to be icons of trust that the God to whom you offer the most precious gift of participation in his creation of life, will generate as your inheritance a fruitfulness that is abounding and lasting. Celibacy is the mirror on which is reflected the fullness of joy inherent in the vision of beatitude we long and hope for. For then human loves, however perfected and pure, will no longer suffice, no longer exist. On your celibacy hinges the resurrection of the body from the depths of its bonded existence. So much is at stake, and so much is gained by your celibate lives, not because the body is bad, but because it is so very precious and so very good. God, who first gives the treasure, is worth this total offering of your undivided hearts, now. We need loving priests; priests whose mission in the world is simply to reflect the expansive love of the Father for his children through the ages. The love we need is a spiritual love, rooted in charity: the love of selfless offering, of union that does not hinge precariously on the superficial, but reaches the depths of truth and so becomes a communion of souls. We need an ordered love, intended and offered for our good, the special good of our souls, nourishing our capacity for selflessness and virtue. You are icons of the inheritance lavished by Christ — reminders of our inherited dignity — staking all, should all else fail, as it sometimes does, on the Incarnate love of God for man. We need paternal priests, for some of you are the fathers we never knew in life, or lost too early, or wish we had. Your spiritual paternity is a gift that few acknowledge, and yet all depend on. You are the one clear way we can begin to see God as Father when the natural norm of fatherhood does not stand tests of death, or infidelity, or modern loss. We call you fathers, and we know what this means; we love you as we do our own. The reality of fatherhood, its dignity so completely transformed, and broken, and marred in our current culture, is what you live in all its purity and beauty. Yes, you have given father and mother, sisters and brothers, lands and homes, wife and children; yes, you will have the hundredfold reward of so precious an offering. The treasure you sacrifice is lavished on us. Christ operates through your paternity, protecting, feeding, growing, saving the souls of the flock with the fatherly love that transcends natural affection and reveals an infinitely abundant spiritual fruitfulness in the economy of grace. Give of your fatherhood, with the full sacrifice deserved by the children, and originally offered to you. For when souls meet strong fathers, big things happen: they relearn to love, to trust to hope, to believe. We need faithful priests. More than anyone else, we look to you to model perseverance and loyalty. We are all tempted to run from the drudgery inherent in each vocation and to seek happiness elsewhere. We need you to be images of the faithfulness of Christ in his walk to the Cross; living paradigms of trust in the Christ who loves his own, will not fail them, and works all things for our good. The modern world needs new paradigms of promise that set fidelity above feeling, perseverance above easy exits, commitment above temporary satisfactions. The fidelity of the priesthood is parallel to the fidelity of marriage, for love, true love, chooses to love without counting costs, and so sustains promised union. We need obedient priests — priests whose obedience is a daily offering of themselves firstly to the Father, and then to the vocations they have received. It is your obedience that becomes the wellspring of strength where weakness and temptation overcome fidelity, where marriages fail and risk breaking down, where death conquers hope. For obedience crowns your vows in the full offering of your wills, enabling us also to know that sometimes, while not willing, we must nonetheless act in conformity with the dignity of our own vocations, our own vows, our own Baptism. In your obedience you offer us the confident strength of the prodigal son, who in his misery knows the Father loves him still, will set his pride aside and receive him, will give from the storehouse of his treasures in abundance. It takes an obedient man to be the prodigal son’s father. We need merciful priests. You are the portal to the Fount of Mercy. The confessional, the altar, the walk on a campus street are modern meeting points between God and man. It is given to you to perpetuate on earth, again and again, the same steps of the Christ who walked upon those ancient dusty roads of Galilee — He who preached repentance and the fullness of the Father’s mercy at the well, on the Mount, with his life blood on the hill of Calvary. No longer can we bear to hear that sin is not serious; it always is, and we know this, almost by gut instinct. How can separation from God not be serious business, if we believe in God? We need to hear from you that sin is sin, and that God’s mercy is infinitely greater. We know the magnitude of evil. We see it (and live, saturated in it,) all the time. It is in your hands to point to the abyss of vice all around and in us, and to say that virtue triumphs still — always triumphs; that Mercy is limitless, and unfettered by the full darkness of the world’s offenses. Here lies the crossroad of hope where the road meets the Cross, under whose shadow souls are saved by an infinite love. No, mercy is not to say we have not erred; true mercy says we err all the time, and yet God loves us always, not because we are somehow so good and worthy, but because He is all good, and wants us restored to a filial union, anchored in the love that does not die. The paradox of mercy saves from despair. Please preach and live this Mercy! And it is for your priesthood — holy, believing, celibate, loving, paternal, faithful, obedient and merciful, that we are so grateful to God. Among all the things we can attempt or gain in this world, one remains impossible apart from you: the personal, real, living encounter with Christ. Thank you for your ‘yes’, your fiat that stands apart and surprises a cynical world! Preach holiness, preach love, preach purity; tell us of faithfulness and the possibility of perseverance, show us the joy of your obedience, the fortitude of your belief; rejoice in the fruitfulness of your celibacy, lavish the treasures of mercy entrusted to you to dispense in a world that longs for them. Be not afraid or ashamed of the consecrated lives you live! Bring your priesthood, His Priesthood, to the streets. Yes, the world does not understand; scandalized, it often derides and humiliates. But to you is entrusted that better portion, and we are dependent on your joy. Be public witnesses against currents of cynicism, despair, hopelessness, unbelief, infidelity, sin, jealousy, greed and mediocrity. Live the convictions that first brought you to prostrate yourselves at the altar on the day you became Priests of Christ! May they remain firm, enflaming, contagious, attractive, compelling, converting and enduring in our time. For there is no more compelling offering than the offering of one’s very life, joyfully given, sacrificially presented, generously lavished, endlessly loving, for the good of a soul. It is enough to lift it from the depths and help it to salvation. And it is here that the greater poverty, that of the human spirit, is transformed by the sustaining grace of your fidelity — generosity unbound, undivided, sanctified, and saturating a thirsting world. No, none of this is easy. Living it is not easy; thinking about living it may seem impossible to some. But neither was Christ’s life easy. And if there is one lesson for us all, it is that the closer we come to imitate His sacrificial and total love in this world, the greater our chance of happiness and joy. For you, arms cruciform, outstretched on the floors of this world’s churches and cathedrals, that conformity to the cross took place once, and takes place anew each day. We are given to witness this example, and are sustained by it. On it hinges a great hope which captivates an incredulous world, and sets it ablaze. Yes, this is a tall order. But Christ does not leave his own abandoned, nor did He begin a work He will not sustain to completion. Remain in His heart, so that through you we also may enter it. For it is there that poverty changes into an infinite wealth of love, and transforms lost sheep into a communion of souls, a royal priesthood, a people set apart. It is there that death dies, and hope reigns, triumphant. Believe in His Priesthood, and so believe in your own. Believe in the power Christ pours into your consecrated hands. Believe in His Fatherhood and your participation in the multiplication of this love. Love the Truth and love the Church; protect her, defend her, espouse her as Christ does, and bring souls to her maternal heart. And know the world its expectant, dependent, desiring to receive from the fount of grace upon which you keep guard and vigil by the offering of your very lives. Pray for us as we do for you. Confide your lives to his Mother, made yours and ours in the final priestly act of the Cross. ‘Do whatever He tells You.’ Till that day when death will be no more, nor sorrow, nor tears, but joy, boundless and full; an everlasting Sunday feast, where the water always turns to wine. Amen.